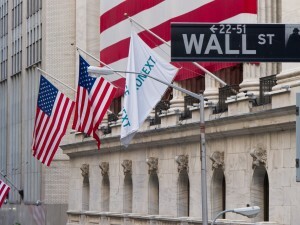 In February 2018, the United States Court of Appeals for the District of Columbia Circuit (the “Court”) ruled that a key lender to some of the largest companies should be exempt from Dodd-Frank Wall Street Reform and Consumer Protection Act’s (“Dodd-Frank”) requirement that investment firms hold some of their funds’ risk. Specifically, the Court ruled to exempt Collateralized Loan Obligations (“CLOs”) from compliance with risk-retention regulations. Dodd Frank, enacted in 2010, was a direct legislative response to the 2008 financial crisis. The bill aimed to reshape the United States regulatory system by imposing regulations on the banking industry to decrease various risks in the United States financial system. Among the various provisions is Section 15G (15. U.S.C. 78o-11), which requires the securitizer of asset-backed securities to retain not less than five-percent (5%) of the credit risk of the assets collateralizing the asset-backed securities. This rule is commonly referred to as the “skin-in-the-game” provision as requiring the securitizer to retain a material amount of risk, the interests of the financial managers become closely aligned with those of the investor. In a sense, the provision was designed to protect investors from risky managers by making managers share in the consequences of their decisions. Section 15G includes a variety of exemptions from these requirements, specifically, an exemption for asset-backed securities that are collateralized exclusively by residential mortgages that qualify as “qualified residential mortgages.” In The Loan Syndications and Trading Association (“LSTA”) v. SEC, the Court decided that CLOs should also be exempt from this definition of securitizers. LSTA advocates and represents financial firms that serve as investment managers of open-market CLOs. A CLO is a security backed by low-rated debt. In this financial arrangement, investors receive scheduled debt payments from the underlying loans, thus, investors assume the majority of the risk in the event borrowers default. These arrangements get their allure from the increased diversity of investment and the potential for higher-than-average returns. The LSTA challenged the applicability of the risk-retention requirements in regards to CLOs arguing that the activities of the CLO managers did not make them securitizers, and therefore, the CLO managers’ actions were not encompassed in the statutory language. The Court reasoned that CLOs never actually possess the loans that they manage. The Court explained that the significant words in the definition of a securitizer are “transfer” and “retain.” In order to transfer or retain an asset, the CLO must have held that asset. Since, the CLO manager never holds the securitized loan, the CLO manager then never retains the asset so the CLO manager cannot retain some of the risk involved in the transfer. This decision will likely be welcomed among those involved in the CLO industry and is a reversion to the status quo prior to Dodd-Frank. A Bloomberg Markets article from February 2018 argues that “[t]he decision may make it easier for money managers to assemble collateralized loan obligations, which would in turn increase investor demand for corporate loans that fund private equity buyouts and other highly leveraged acquisitions.” However, others argue that while the decision remains subject to appeal, there may be a momentary lapse in the issuance of CLOs as managers consider pricing strategies. Though, most critics are in agreement that any lapse will soon fade if this decision stands. Yusuf A. Brown is a second-year law student at Wake Forest University School of Law where he is the 2018-19 Managing Editor of the Journal of Business and Intellectual Property Law. He holds a Bachelor of Arts in Public Policy from the University of North Carolina at Chapel Hill. Upon graduation, he intends to practice corporate law, focusing his attention on Mergers & Acquisitions Law and Tax Law.